Flexiant are really pleased to be able to announce that we are going to be a silver sponsor at this years Parallels Summit 2014. The event, to be held February 24-26 2014 at the Hyatt Regency New Orleans provides a unique opportunity to join more than 700 cloud service providers and showcase new solutions to over 1,200 attendees, including senior-level executives responsible for developing and building cloud-enabled services. 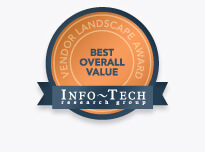 Over 90% of all hosted websites on the planet are represented by the service providers who attend Parallels Summit. 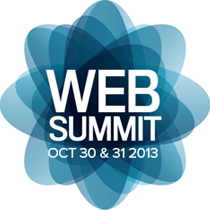 Flexiant’s Tony Lucas will join a panel at Web Summit, on Wednesday 30th October at 10:40, to discuss, ‘Do You Manage Your Cloud or do the Technologies Manage You?’. Tony will be joined alongside panelists Bernino Lind, COO of CloudSigma, Horacio Gonzalez-Velez, Head of Cloud Competency Centre & Associate, Ruediger Baumann, CEO of Zimory and Russel Acton, Head of EMEA for Pivotal. 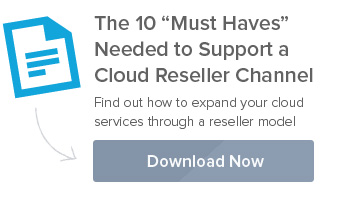 Just named the Gartner Magic Quadrant Leader in the IaaS space, Amazon, as the Register puts it, is the ‘one true cloud.’ If this true, how can the rest of the cloud service provider compete? This is exactly what Tony Lucas, SVP Product and Founder at Flexiant will discuss in his panel session at Structure:Europe in September. Chaired by David Meyer, senior writer at GigaOm, the session ‘AMAZON VS. THE WORLD: HOW CAN CLOUD SERVICE PROVIDERS COMPETE?’, will debate how cloud service providers can compete against industry giants like Amazon. The discussion will highlight common challenges and alternative approaches to achieving growth. Panelists will debate whether federation, differentiation, growth through resellers or geographical scale is the right approach for cloud service providers. GigaOm Structure is just around the corner. Held June 19 and 20 in San Francisco, California this year, the event will focus on how real-time business needs are shaping IT architectures, how hyper-distributed infrastructures will take you beyond the data center and how your cloud tomorrow will look completely different from everything that’s come before. Flexiant’s cloud experts are looking forward to showcasing our complete cloud management solution as part of this year’s discussions. Tony Lucas, Product Champion and Founder and George Knox, CEO, Flexiant will be in attendance at this event to offer their opinions on how IT computing is shifting dramatically from on-premise internal IT to the off-premise cloud service providers. 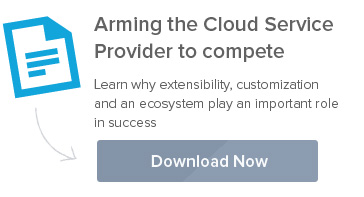 They can speak to the goal of Flexiant to be the dominant provider of software that enables companies to build and launch commercial cloud services that will meet this rising demand. Our team of cloud experts will be on hand at this year’s Hosting Con, in Austin, Texas to demonstrate the innovations and capabilities of Flexiant Cloud Orchestrator. Visit us stand 231. Founder and Product Champion, Tony Lucas, will also speak at two sessions. Click to learn more about these sessions.